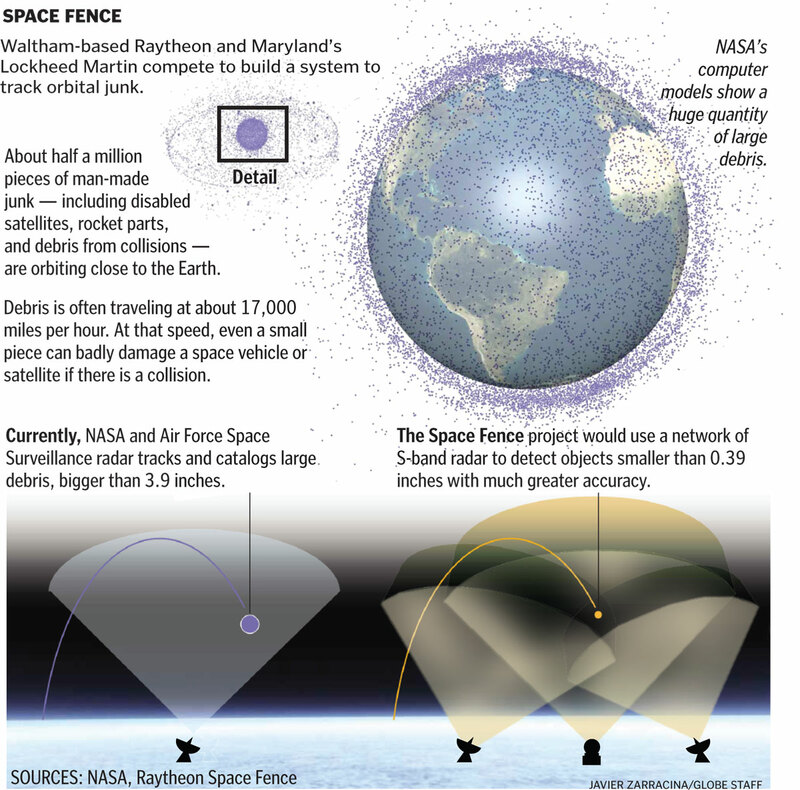 Even as spending is cut across the military, the final stage of a battle over billions of defense dollars is taking place at Hanscom Air Force Base in Bedford, where Waltham-based Raytheon and Maryland’s Lockheed Martin are locked in a competition to build a first-of-its-kind “Space Fence” to track orbital junk. Air Force officials, with the help of engineers at nearby MIT Lincoln Labs and the government-funded, Bedford-based Mitre Corporation, expect to pick one of the companies’ designs this summer for a powerful radar system to track more of the estimated half a million pieces of man-made debris that imperil weather forecasting, navigation, and communication satellites. Even the International Space Station recently had a pair of close calls with debris, requiring astronauts to scramble to escape pods. 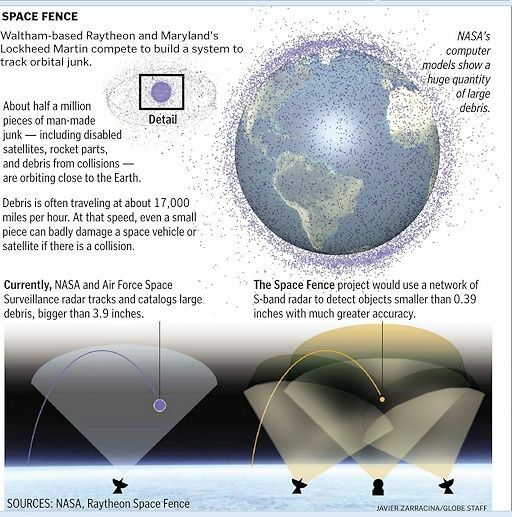 The Space Fence project is expected to cost nearly $3 billion, not including the expense of operating it. The project would use a massive radar beam, generated from a remote Pacific island and possibly another in Western Australia, that reaches into space to track debris. 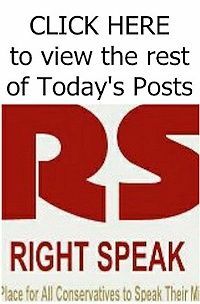 I have to confess, the first thought that came into my head when I read the article was, they can build a space fence to track space junk, but they can't build a border fence to keep out the human junk. And yes, if you come here illegally, I don't mind using the term, 'Human Junk'. I have to confess, the first thought that came into my head when I read the article was, they can build a space fence to track space junk, but they can't build a damn border fence to keep out the human junk. And yes, if you come here illegally, I don't mind using the term, 'Human Junk'.